Are you prepared to have fun in the sun? Then this Inflatable Obstacle Course Bouncer is the perfect fit for you. It offers an Xtreme experience and obstacle course you and your guests will all love. 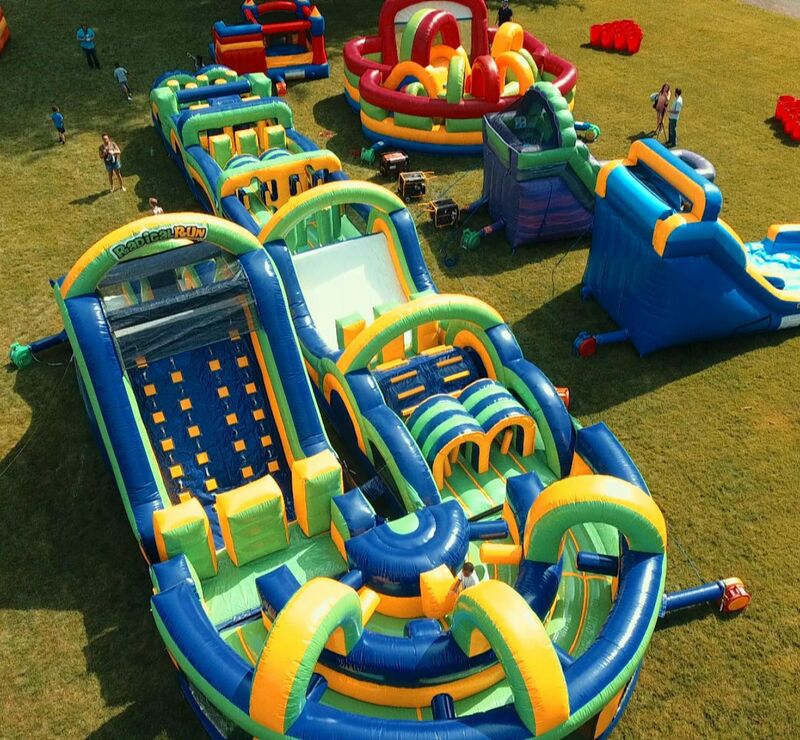 Take your shoes off and jump in to the fun as you Jump in this Giant 4-piece Inflatable Bounce House Obstacle Course. The perfect item for a birthday party, school, church event or a company picnic. Need more refreshments concession machine rentals or you can also add a catered concessions tent that will be the hit of your event. 135' of Racing Challenge Excitement. Use all four pieces of this radical course for the Ultimate experience in an obstacle course challenge. Compete with your family, friends and co-workers in our interchangable obstacle course!